21% of Americans ages 12 and up have listened to a podcast in the past month. That is up from 17% in 2015. Monthly podcast listenership has increased 75% since 2013. Instead of trying to edit that video by learning software on the fly, let us help! Our staff is experienced to edit all types of videos, from live shots to using green screen backgrounds. These video packages come fully complete with intros and outro segments, also produced by our staff. Our studios include green screen set up to give your video all types of elements. Ask anybody and one of the most important things for your podcast is to have artwork. It’s one of the foundations to building your brand. We create graphics for your podcasts, which is necessary for uploading on iTunes, Google Play, YouTube as well as promoting your work elsewhere. We can create the graphic for your show as well as any web banner graphic you may want to promote your content. You have all of this content and it’s polished and ready to go. Well, we actually take care of that too! United Cities Productions will help you distribute your podcasts via iTunes, Google Play and YouTube. 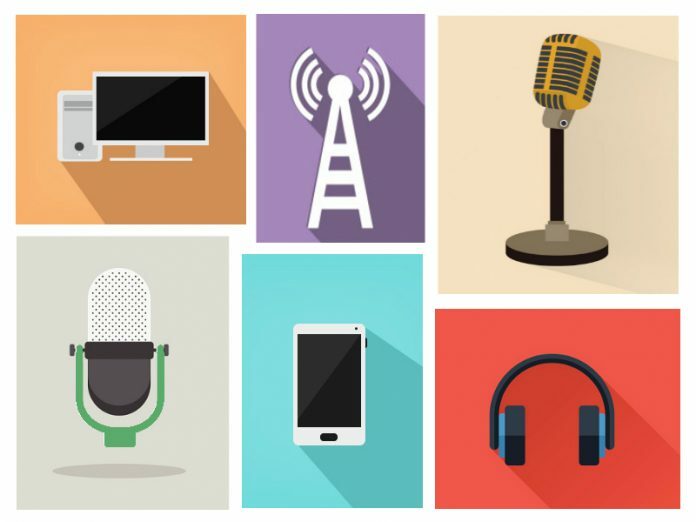 Not only do we help with the digital mediums, we can also help with the more traditional mediums such as radio. View actual examples of audio and video podcasts we’ve produced.